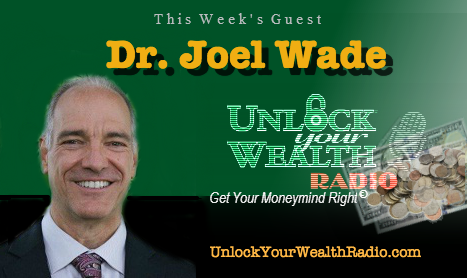 Dr. Joel F.Wade, Mastering Happiness author, Marriage and Family Therapist and life coach is back for part 2 of his debut on Unlock Your Wealth Radio with host and financial expert, Heather Wagenhals. 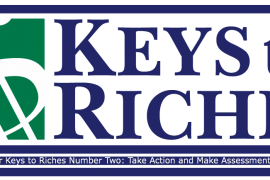 In this interview Dr. Joel Wade expresses how we should take what we know about healthy self-esteem and propel ourselves forward using Dr. Joel Wades strategies and advice mentioned in this show and episode one of Unlock Your Wealth Radio Season 25. Dr. Joel Wade reveals the key we need to manage a specific behavior, which has leverage on us and seems to hold several of us back from a good life. Find out how you can develop this good habit and make a good life for yourself by changing manageable habits with the advice and expertise from Dr. Joel Wade. Tune in to this interview on the Libsyn platform as we hear from Dr. Joel Wade defining what our “pleasure in the moment” means and more financial advice and expertise into Mastering Happiness. 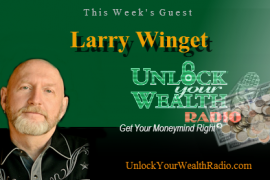 About UnlockYourWealthRadio.com: Unlock Your Wealth Radio with Heather Wagenhals is where listeners go the get their MoneyMind©Right with the hottest names in successful personal finance and celebrity guests like Mark Victor Hansen author of Chicken Soup for the Soul, Larry Winget of A & E’s Big Spender, Sharon Lechter co-author Rich Dad Poor Dad, Armando Montelongo and Than Merrill of A&E’s Flip This House, Fox News Drew Kessler, NBC Today Show’s Jeff Yeager The Ultimate Cheapskate, T. Harv Eker author of Secrets of the Millionaire Mind, Nathaniel Branden the Father of Self-Esteem, NASCAR’s Stephen Leicht, comedienne Cocoa Brown, plus NFL and coaching greats. 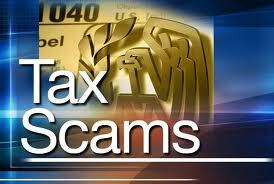 Visit UnlockYourWealthRadio.com for more information or to book a personal appearance now.